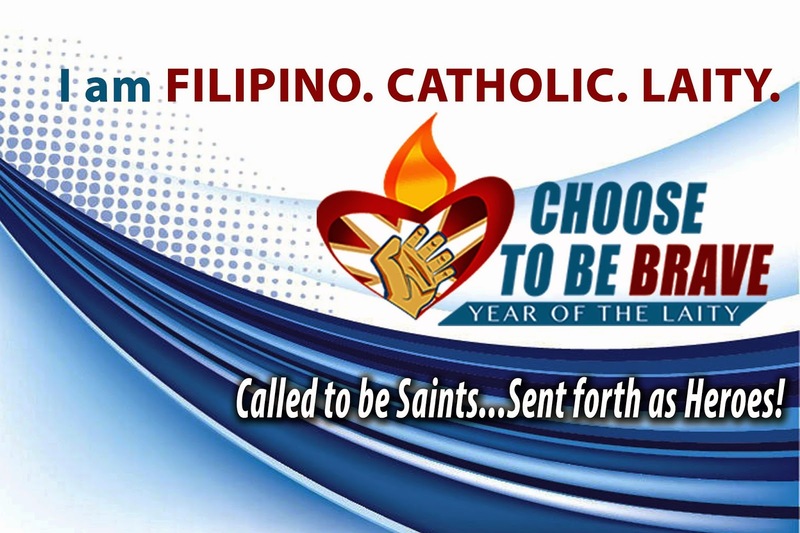 Last Sunday, March 23, 2014, the parish formally launched the Year of the Laity (YOL) during the 10:00AM mass by Father JB Abellana together with the PPC EXECOM. FJB read the Bishop’s promulgation after which the PPC Chaircouple, Kuya Tony and Ate Lina Feliciano, unveiled the YOL banner in front of the congregation. PPC Asst Chaircouple Kuya Peter and Ate Lina Tamayo then read the explanation of the YOL. FJB, in his homily, exhorted the laity on their role as active participants in the spiritual life of the parish and that without them, no matter how good the parish priest may be, the parish will not thrive. He emphasized that it is the active and communal participation of the laity that will make the parish a vibrant community serving and building one another as it journeys towards building God’s kingdom. After the homily, FJB then proceeded to install the PPC EXECOM, the Heads of the different Commissions and the Ministry Heads. They then professed their commitment to serve the parish in their capacity as lay leaders and promote Gospel evangelization throughout the parish. After Communion, Kuya Tony Feliciano led the Litany of Gratitude while Ate Lina Feliciano delivered their message for the occasion. A simple meal at the St. Joseph Hall followed.